Our East Bay psychotherapists & psychologists, are highly skilled in treating trauma through body-based modalities. Somatic trauma therapies, such as Somatic Experiencing, AEDP, EMDR and Hakomi operate from the idea that the resulting psychological trauma is not inherently caused by the actual traumatic event, but more so from the inability of the nervous system, mind and body to effectively process the detrimental experience. By working from a somatic and holistic perspective in trauma therapy, individuals who have survived such painful and disturbing experiences can reset their nervous systems and once again feel safe in the world. Lasting psychological and physiological trauma often manifests from an acute (one time) and deeply distressing or terrifying experience during which a person suffers from a perceived or actual life-threatening event. Trauma may also result as the byproduct of cumulative negative emotional and physical stressors. Both the corrosive impact of daily and ongoing abuse, conflict, fear or stress, as well as a sudden trauma such as sexual or physical assault, an accident or natural disaster, seriously diminish an individual's capacity to operate with ease, resilience and agency in one's life. By working from a somatic and holistic perspective in trauma therapy, individuals who have survived such painful and disturbing experiences can reset their nervous systems and once again feel safe in the world. Somatic trauma therapies, such as Somatic Experiencing, AEDP, EMDR and Hakomi operate from the idea that the resulting psychological trauma is not inherently caused by the actual traumatic event, but more so from the inability of the nervous system, mind and body to effectively process the detrimental experience. By working from a somatic and holistic perspective in trauma therapy, individuals who have survived such painful and disturbing experiences can reset their nervous systems and once again feel safe in the world. 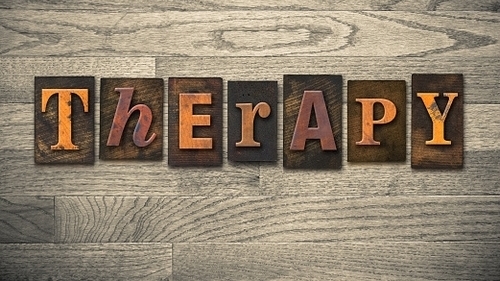 AEDP facilitates a transformative healing process by being deeply rooted in three primary tenets of psychotherapy: healing attachment wounds, transformative experiences and somatic and emotional processing. Surviving from childhood abuse and trauma impacts an individual throughout their life. Through a uniquely individualized and collaborative therapy experience, your road to recovery can culminate in transformational change and healing.